This is Australia on a plate over 50 years. If you think of Australian food, the main things which spring to mind are Vegemite, smashed avo, Caramello Koalas, toasted sangas and pavlova (let us have this, New Zealand). 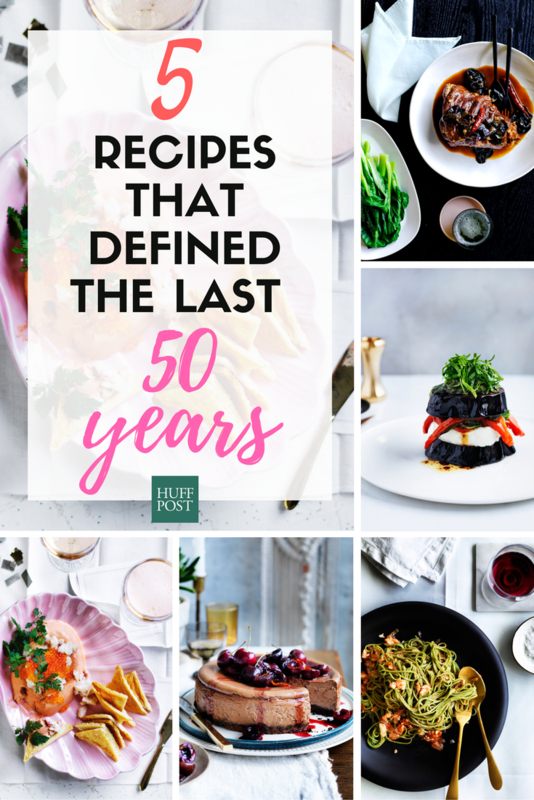 What we don't know, though, is that there are a huge range of dishes that top Australians chefs have helped make iconic over the last 50 years. From 70s black forest cake and 60s lobster mousse, to cheddar pie from 2010s and 2000s green noodles with blue swimmer crab, these recipes from the 50th anniversary issue of Gourmet Traveller are pure perfection. Cook time: 45 minutes (plus chilling, setting). 1. Kill lobster humanely, then remove tail meat by running your finger along the connective tissue between the shell and meat. Refrigerate meat until required. Chop or crush shells, then place in a large saucepan over medium heat with shallot, thyme and 100gm butter, and stir and pound shells with the end of a rolling pin to break up until shells are fragrant and deep red (20-30 minutes). Add flour and stir until well combined and toasted (3-4 minutes). Add tomato paste and stir continuously until it loses its raw flavour (1-2 minutes), then deglaze pan with Cognac and gradually add stock, stirring until smooth. Increase heat to high and stir until liquid comes to the boil, then stir occasionally until well flavoured (two minutes). Remove from heat and strain through a sieve, pressing to extract the most liquid, then strain again through a fine sieve -- you should have 300ml. Return to pan and bring to a simmer. Squeeze excess water from gelatine and stir into sauce to dissolve. Season to taste, transfer to a bowl and set aside, stirring occasionally, until cool (30-35 minutes). Whisk cream to soft peaks, fold into sauce a third at a time, then divide among two 350ml moulds, or one 700ml mould and refrigerate overnight to set. 2. To make Melba toasts, preheat oven to 175°C. Cut crusts off bread with a serrated knife, cut slices diagonally in half and bake on trays, turning once, until light golden and crisp (8-10 minutes). Halve toasts again, brush lightly with oil, then return to oven and bake, turning once, until golden (5-7 minutes). 3. Dice reserved lobster meat. Heat remaining butter in a frying pan over high heat, add lobster and stir until just cooked (3-4 minutes). Season to taste and set aside to cool briefly (5-6 minutes). 4. Meanwhile, dip bases of mousse moulds briefly in hot water to loosen, then invert onto serving plates. 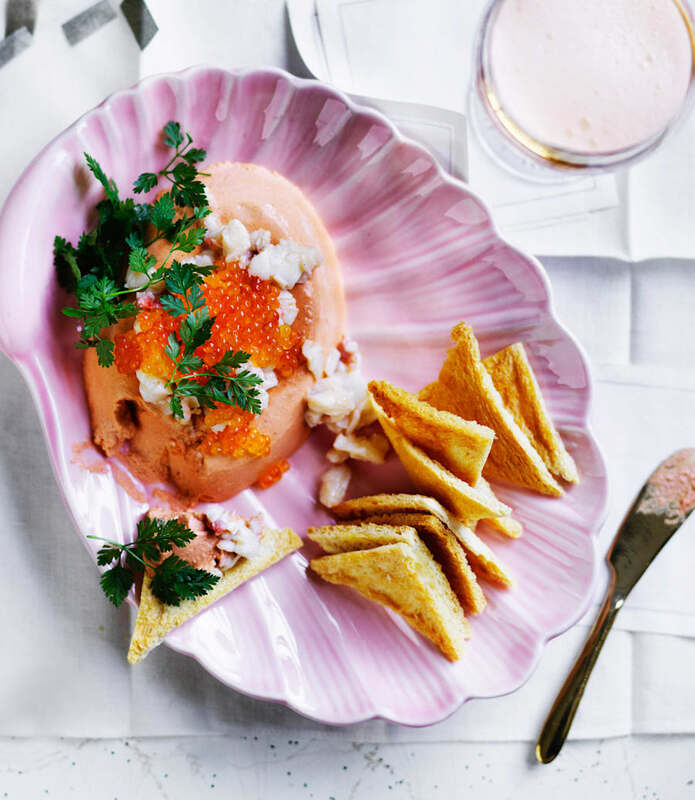 Spoon lobster meat on each mousse, top with roe and chervil and serve with Melba toasts. 60s cuisine was wacky but wonderful. 1. For chocolate crumb, preheat oven to 180°C. Butter a 23cm springform cake tin and line the base with baking paper. Beat sugar and 170gm butter in an electric mixer until pale and creamy (1-2 minutes), then scrape down sides of bowl, add flour, cocoa and a pinch of salt and beat to combine. Roll out between two sheets of baking paper to 3mm thick, place on a baking tray, remove top piece of baking paper and bake until crisp (8-10 minutes). Cool, then break into rough pieces and process in a food processor to fine crumbs. Melt remaining butter, add to crumbs along with a pinch of salt and process to combine. Press evenly into base of prepared tin and bake until crisp (12-15 minutes). Remove from oven. 2. Process cream cheese, ricotta, mascarpone, sugar, chocolate, eggs and orange rind in a food processor until smooth, pour onto crumb base and bake until set with a slight wobble in the centre (50 minutes to one hour). Allow to cool for one hour, then refrigerate until chilled (3-4 hours). 3. Meanwhile, for roast cherries, preheat oven to 150°C, combine ingredients in a roasting pan large enough to hold cherries snugly in a single layer, toss to combine and spread out evenly. Roast until syrupy and cherries are tender (6-8 minutes). Set aside to cool completely. 4. 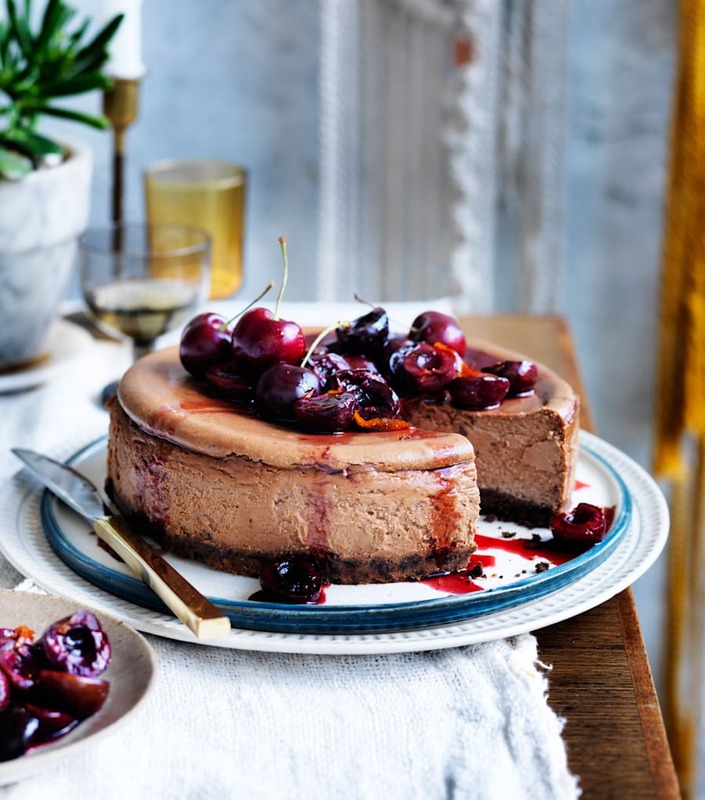 Serve cheesecake topped with roast cherries, syrup and fresh cherries. This 70s dessert is still a classic dessert favourite. 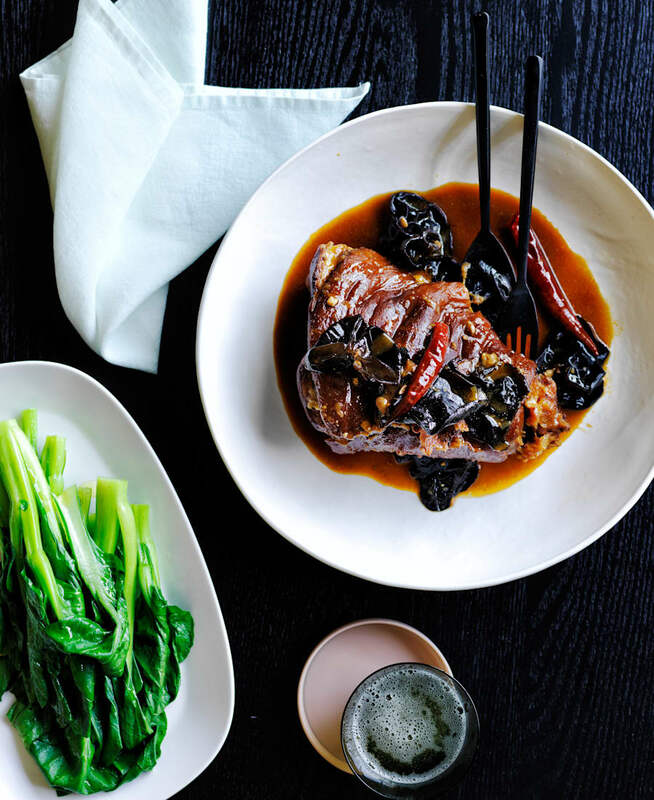 "This was one of the most popular meat dishes at Neddy's in the 80s -- most guests would have liked a huge pork hock with the wood fungus in spicy sauce all to themselves," Adelaide's Cheong Liew, dean of East-West cooking in Australia, said. 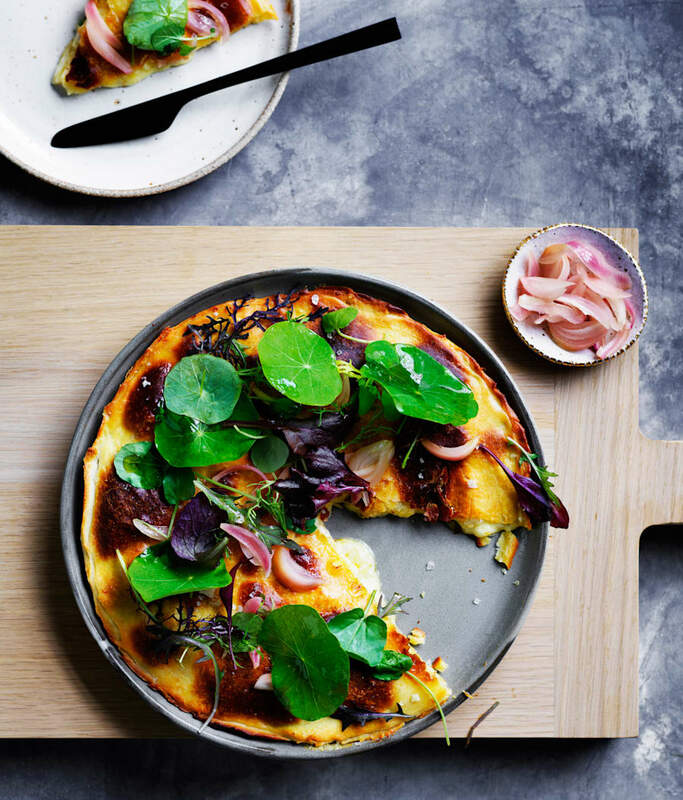 "It was so popular, Max Schubert, the father of Penfolds Grange, requested this dish to match with one of his vintage launches at Neddy's around the time. "This is an ancient Chinese method of braising joints or game meat, with the gelatinous skin and velvety meat in a rich, spicy, dark, sweet sauce. After marinating, the meat is deep fried until the skin is crisp, then braised in several sauces. Paradoxically, the deep-frying process further reduces the fattiness of the meat because the fat is released into the oil. "The rich sauce and light meat make this a tantalising meal. Wood fungus is added to absorb all the rich flavours of the sauce and meat, giving another texture to the dish. This Chinese hunter-style recipe could be applied to any game meat. I like to serve it with Chinese greens and shallow fried potatoes." Cooking time: two hours (plus standing, cooling). 1. For marinated pork hock, sprinkle hocks with salt and stand at room temperature for two hours. Place hocks in a large saucepan, cover with cold water, add spring onions and ginger and bring to the boil, then reduce heat and simmer until skin softens (30 minutes). Place hocks in a bowl, add rice wine, soy sauce and ginger juice and rub into hocks. Set aside to cool. 2. Heat oil in a deep saucepan or large wok to 170°C. Pat hocks dry with paper towels and deep fry one at a time (careful, hot oil will spit) until browned (8-10 minutes). Remove from oil, plunge into a large bowl of iced water and stand until completely cool (30 minutes). Drain well. 3. For beancurd sauce, heat oils in a wok over medium heat, add chillies, garlic, shallot, ginger, star anise and fermented brown beans, and stir fry to combine. Add sugar and stir until caramelised (1-2 minutes), then add sweet chilli paste and soy sauces and stir to combine. Add chicken stock, hoisin, beancurds, tahini and rice wine and bring to the boil. 4. Add hocks to beancurd sauce and simmer uncovered until meat is tender (1-1½ hours). Add fungus, rock sugar and oyster sauce, and simmer until meat is starting to fall from the bone (30-40 minutes). Serve meat, fungus and sauce with blanched Asian greens. Note: Rock sugar and all Asian ingredients can be found at Asian supermarkets and select Chinese grocers. For ginger juice, finely grate ginger, then squeeze out juice. You'll need about 60g of ginger for one tablespoon juice. This Chinese-style dish is packed with salty-sweet-sour flavour, making it a perfect accompaniment to the tender pork. "This dish was born in the early days of the Paragon kitchen, circa 1990, when we were new kids on the block," chef Christine Manfield said. "It marked the beginning of the trend for stacking ingredients and its success lay in the combination of flavours and its last minute cooking and assembly. "Its construction took the concept of a sandwich, the eggplant taking on the role of bread, and transformed it with a slightly more theatrical presentation. The intention is that when you slice through the sandwich from top to bottom, you capture all the flavours and textures in one bite. 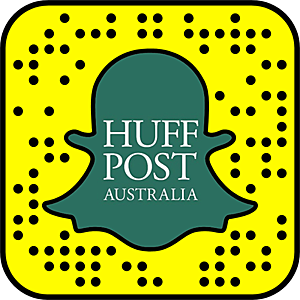 "The star ingredients are the goat's cheese (choose one of the artisanal brands made in Australia like Holy Goat, Woodside or Tongola) and the homemade pesto. Use your own favourite pesto recipe here." Cooking time: 15 minutes (plus standing). 1. Sprinkle eggplant slices with sea salt, place on a tray and stand for one hour to sweat. Pat dry with paper towels. 2. Meanwhile, roast capsicum over a direct flame until skins blister and blacken (6-8 minutes). Remove skins by washing the capsicum under cold running water, remove stalks, then open out flat. Remove pith and seeds with a knife, being careful not to cut the flesh. Cut the capsicum into strips lengthways and drizzle with a little olive oil if not using immediately. 3. Heat vegetable oil in a deep fryer or large saucepan to 180°C. Deep fry eggplant in batches, turning occasionally, until golden brown on both sides (4-5 minutes -- be careful, hot oil will spit). Drain and pat dry with paper towels. 4. For balsamic vinaigrette, whisk ingredients in a bowl to combine and season to taste. 5. 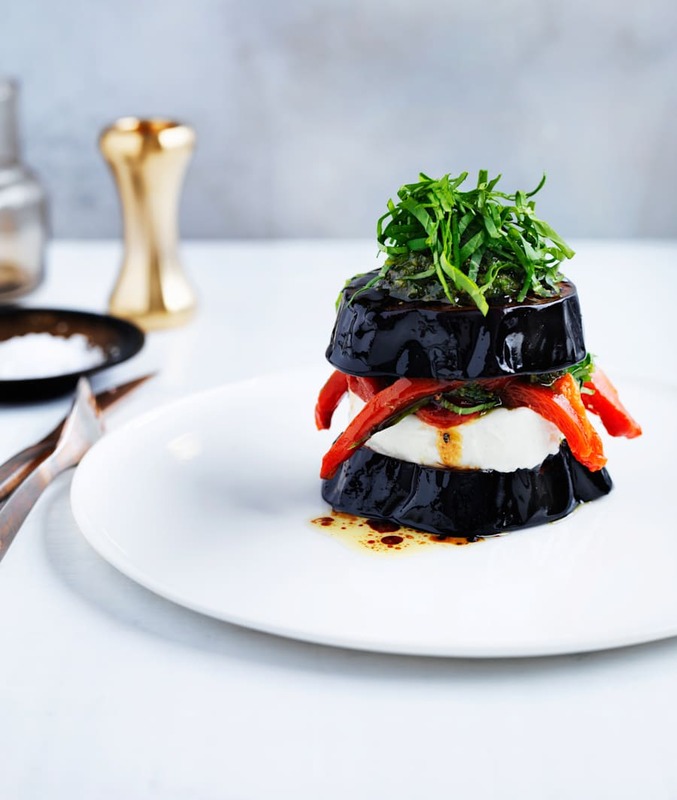 To assemble, place a slice of eggplant on each plate and top with a slice of goat's cheese, a few strips of roast capsicum and one teaspoon of pesto. Drizzle with a little vinaigrette, scatter with a little rocket, sandwich with another slice of eggplant and serve topped with extra pesto, vinaigrette and rocket. Wine suggestion: A Sancerre or Shaw and Smith Sauvignon Blanc. "As I am Ligurian it was only natural to make this pasta with silverbeet, following our tradition of combining ingredients of the land and the sea," chef Lucio Galletto said. "Italian has come a long way in Australia," Galletto said. "All that anyone used to eat was spaghetti Bolognese." Cooking time: 40 minutes (plus resting). 1. For green pasta, wash silverbeet leaves, roll up and thinly slice, then blanch until tender but still bright green (3-4 minutes). Drain and refresh in iced water, squeeze out excess water (you should have about 35gm silverbeet once squeezed firmly), then purée in a blender and combine with eggs. Sieve flour into a heap on a board or bench and make a shallow well in the centre. Pour silverbeet mixture into well, add a pinch of salt and, using a fork, incorporate flour into silverbeet a little at a time until it's no longer runny. Draw the pile in towards you and work the mixture with your palms pushing outwards. Continue drawing in with the fingers and pushing out with the palms until a dough forms that's not too dry and crumbly or too sticky (if dough seems too dry add a little warm water -- if it's sticky, dust with flour). Press dough down and away from you with the heel of your hand, forming an oval shape. Fold in half with the other hand, and give it half a turn. Repeat pressing, folding and turning in the same direction until dough is smooth and elastic and springs back when pressed (about eight minutes). Wrap in plastic wrap and rest in a draught-free place for 20 minutes. 2. Divide dough into 3-4 pieces and, working with a piece at a time, flatten then roll through a pasta machine, starting at the widest setting and dusting with flour as needed. Fold in half and repeat until pasta is smooth and silky, then continue rolling and folding, reducing settings notch by notch each time, until dough reaches a thickness of 1.5mm. Pass pasta sheets through the tagliolini cutters (2.5mm wide), spread on lightly floured trays and set aside while you make the sauce. 3. For tomato sauce, pass tomatoes through a mouli or crush them with your hands, and heat olive oil in a large frying pan over medium heat. Add garlic and stir until it just starts to colour (1-2 minutes), then add onion and sauté gently until soft and translucent (5-7 minutes). Add tomatoes, basil and a pinch of salt, or to taste, and simmer until sauce thickens (20 minutes). Discard basil and add butter. 4. Remove top shell of each crab and discard the yellow-brown tomalley. Detach and break claws and remove the meat. Remove head and discard dead man's fingers (gills). Break or cut bodies in half lengthways and squeeze meat from leg area towards the cut. Remove pieces of shell from meat and drain meat in a colander (10 minutes). 5. 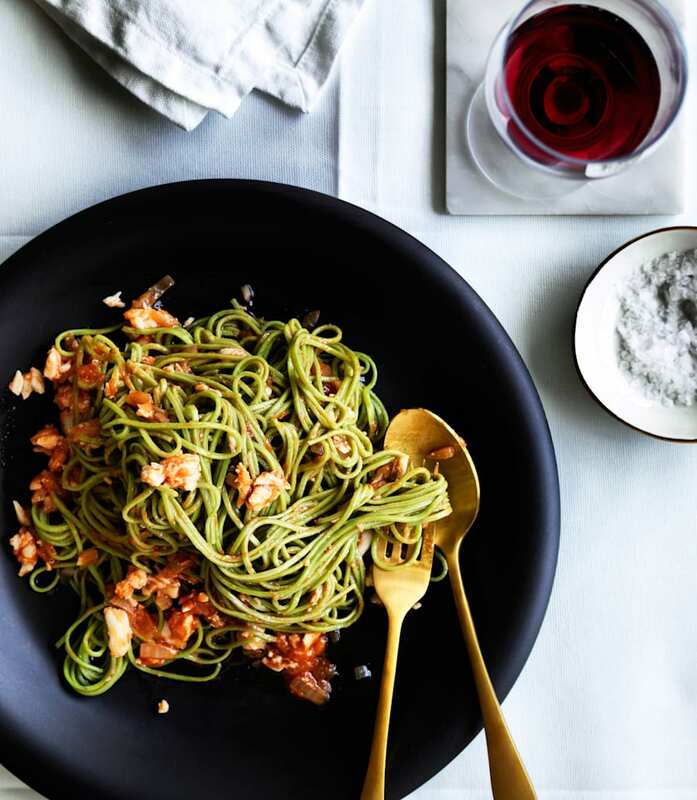 Combine olive oil and drained crabmeat in a large frying pan deep enough to hold the pasta over low-medium heat, and stir gently until half-cooked without colouring (2-3 minutes). Add garlic and stir until fragrant (two minutes), then add tomato sauce, bring to the boil, then reduce heat to low-medium and simmer until flavours combine (two minutes). 6. Meanwhile, cook tagliolini in a large saucepan with plenty of boiling salted water until just al dente (1½-2½ minutes). Drain then add to crab sauce along with butter, toss gently and serve immediately. Wine suggestion: Crisp, dry vermentino, a grape commonly found in Liguria. "At Ester, I use a wood-fired oven to cook most things," chef Mat Lindsay said. "It requires a certain level of intuition in that you need to understand the wood and how fire reacts. Cooking with an open flame has a kind of romance to it. I like this pie to have a punch and it tastes best when there are a few burnt bits here and there -- the bitterness stops it being too rich. If you don't have access to a wood-fired oven, have your oven as hot as it will possibly go. We like to serve the pie with a chilli sauce we ferment ourselves, but a bit of Tabasco, which is also fermented, works well, too." Though he likes the pie as it is, Lindsay says it's quite forgiving of experimentation with toppings. "We've even gone extravagant at times and thrown a bit of fresh truffle on, but anything that tastes good with cheese is good -- make it your own." This recipe can make either one large (40cm), two medium (25cm) or four small pies (18cm). Start this recipe a day ahead to pickle the onion. Cooking time: 30 minutes (plus pickling, resting, cooling). 1. For pickled onion, combine vinegar, sugar, ¾ teaspoon sea salt flakes and 130ml water in a saucepan and bring to a simmer, stirring to dissolve sugar. Place shallot or onion in a heatproof bowl, pour in vinegar mixture, set aside to cool, then refrigerate overnight. Drain before serving. 2. For pie dough, place flour in an electric mixer fitted with a dough hook. Add oil, 290ml warm water and two teaspoons salt, and knead until very smooth and elastic (5-7 minutes). Wrap tightly in plastic wrap and set aside for one hour to rest. 3. Combine garlic and olive oil in a small saucepan over very low heat until garlic is light golden (25-35 minutes). Strain (reserve oil for another use) and set garlic aside to cool. 4. Preheat oven as hot as it will go (250C-275°C fan-forced). Lightly grease two 25cm tart tins with removable bases with a little oil, or garlic oil if you like. Divide dough into four then, on an unfloured surface, roll two pieces to rounds the same size as the pie tins. Gently stretch dough on the work surface with your hands until almost see-through and large enough to cover tins, with dough overhanging. Place stretched dough into tins, pressing into the sides. 5. Divide cheddar and confit garlic between pie tins, making large clumps of cheese here and there -- the differences in texture is what this pie is about -- then season generously with ground black pepper and tomato powder. Roll and stretch remaining dough in the same manner as before and place over pie tins to make top crusts. Trim excess dough and pinch around edges to seal. Make a few small slits in the tops of the pies to allow steam to escape, brush olive oil over tops, season with sea salt and bake in centre of oven, swapping pies halfway, until golden, crisp and starting to blacken in spots (20-30 minutes, depending on how hot your oven will go). 6. Serve straight out of the oven topped with green leaves, with pickled onion and hot sauce served alongside. Note: Pyengana cheddar is available from select cheese shops. If unavailable, use another aged cheddar. Dehydrated tomato powder is available from Herbie's Spices. Drink suggestion: Dark beer such as porter or stout. Recipes and images courtesy of the 50th anniversary issue of Gourmet Traveller, on sale from Monday 24th October 2016.